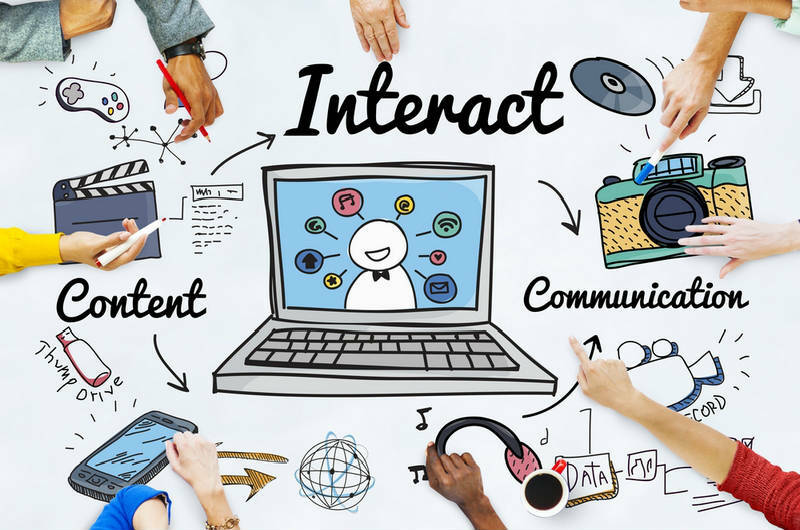 Engagement through Interactive Content: Why and How? As a social animal, we naturally like to communicate and interact with each other. This is one of the aspects missed by early marketers because it was simply not possible to implement with existing technology. Also, for a long time, blatant advertising used to be the norm where marketers tried to own the consumer psyche instead of understanding it. However, times have changed and the millennial consumer is not only better informed but is also sceptical of traditional promotions. The very idea of subtle and indirect methods such as content marketing has been developed as a response to this development. Even within such developments, we are now seeing a decided thrust towards interactive content design for better engagement. The reasons for the same are manifolds. Generally website visitors are passive readers of the content. So, interactive content changes the game by making them active participants. The earliest form of interactive content probably arrived when people were allowed to put their own comments under articles. Nowadays there are plenty of other ways to achieve the same through contests, sweepstakes, polls, webinars, calculators and animated infographics. Live webinars and podcasts etc. allow people to interact in real time. Unlike in the past, one doesn’t have to wait for their answers and can achieve an interactive experience almost similar to real life. With improving technology and bandwidth, such live video based content can only grow in the foreseeable future. There is a strong social quotient in certain types of interactive content. For instance one can take part in a poll and can also invite his friends to participate in the same and share their opinion. So, it not only engages the audience but makes it go viral through social sharing. Another type of interactive content includes tools that allow people to complete certain value added tasks. For instance, it can be a small calculator to count your insurance premium or a small form to search for hotels in your preferred location. Such extra value addition makes the audience feel more favourably about a website and they might also refer the same to other people. Interactive content has received a new lease of life in recent times because a new breed of smart tools has made it very easy to create the same. You have services like SnapApp and ContentTools that can help you create everything from Small quizzes, personality tests and polls to interactive infographics and calculators. You have ThingLink to create interactive visuals out of your images and videos and there are services like Webinars OnAir that allow more professional management of live video events. Interactive content makes customer engage directly with the brand and spend more time on your website. It is a desirable trait because more time they spend exploring content on the site, better the chances of them eventually converting into a lead. As mentioned above, there are many tools available for creating such content. While some of them come with a considerable price tag, you should always weigh the potential benefits against the cost.